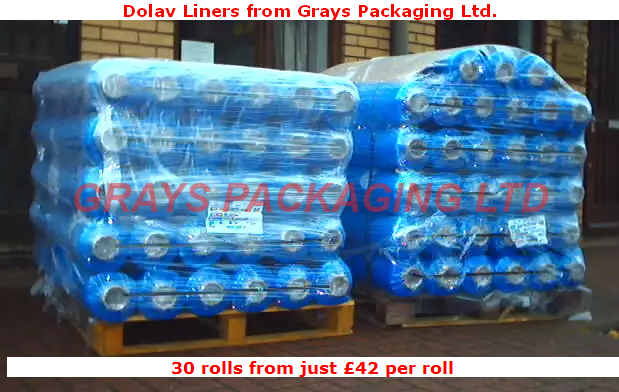 30 rolls 1 Pallet of Dolav Polythene Liners 47 x 89 x 75 25 micron. 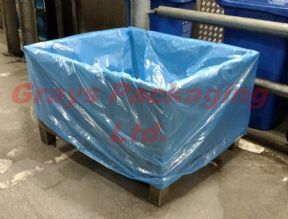 30 rolls (1 Pallet) of Dolav Polythene Liners 47 x 89 x 75" 25 micron. 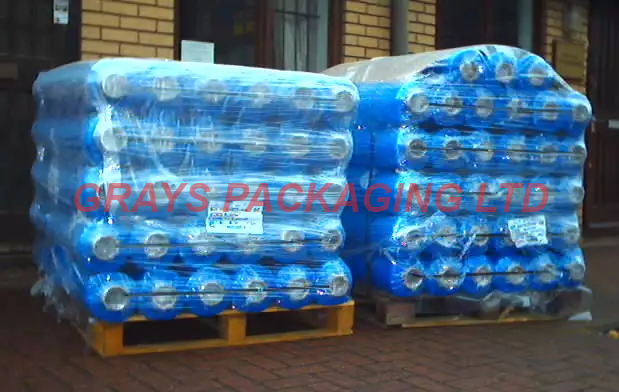 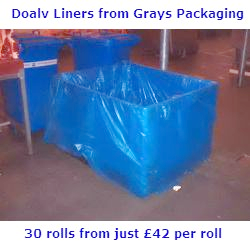 30 rolls of Blue Tint Polythene Gusseted Dolav Liners and bags on a roll. 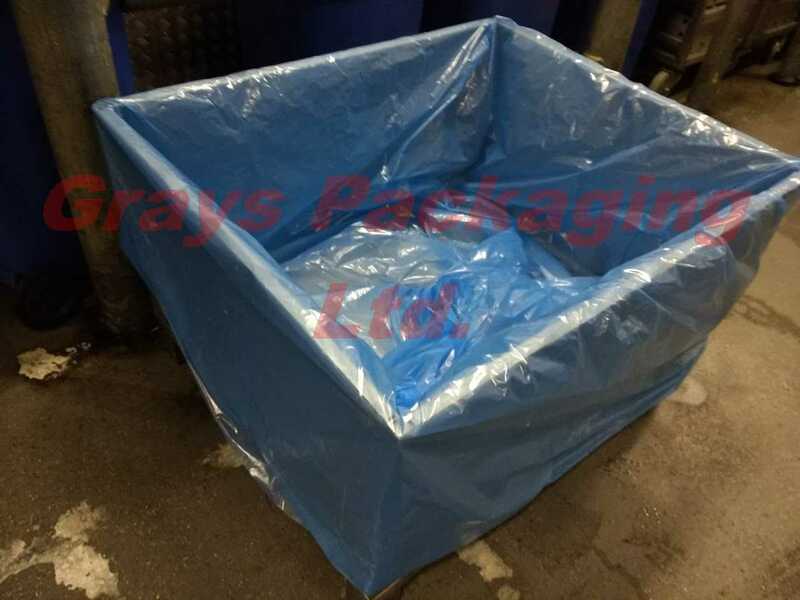 1200 x 2250 x 1900mm (47 x 88.5 x 75") in 25 micron (100 gauge) 90 liners per roll - Perfectly fits a standard Dolav Box-Pal Bin type 800, 1000 and 1200. Food Use Approved Polyethylene.